It was the name that got me first, then the color. They looked so bright and pretty in the picture, my mouth began to water, and next thing I knew I was tearing through my storage cupboard looking for the strawberry cake mix that I knew was in there somewhere. I was desperate for these bars. I could taste them way in advance of making them. You know, I often forget how much I like strawberry (anything), until something forces me to make it. Then, of course, I remember how much I really like it. Just like when I’m ordering a milk shake….I always order vanilla. But if Mr. D. orders strawberry, and I taste his, then I’m like, “dang, why didn’t I order that too”? That’s pretty much how it was with these strawberry gooey bars. There was no lime in the original recipe, but I felt that all that concentrated strawberry sweetness would be too much, so I brightened up the flavor with fresh lime juice and zest. Now they are not cloyingly sweet, and I love how pretty and pink they are. Just the ticket, I think, for a Valentine’s Day treat. 1. Preheat oven to 350*F. Line a 9 x 9-inch baking pan with foil, then spray well with cooking spray and set aside. 2. 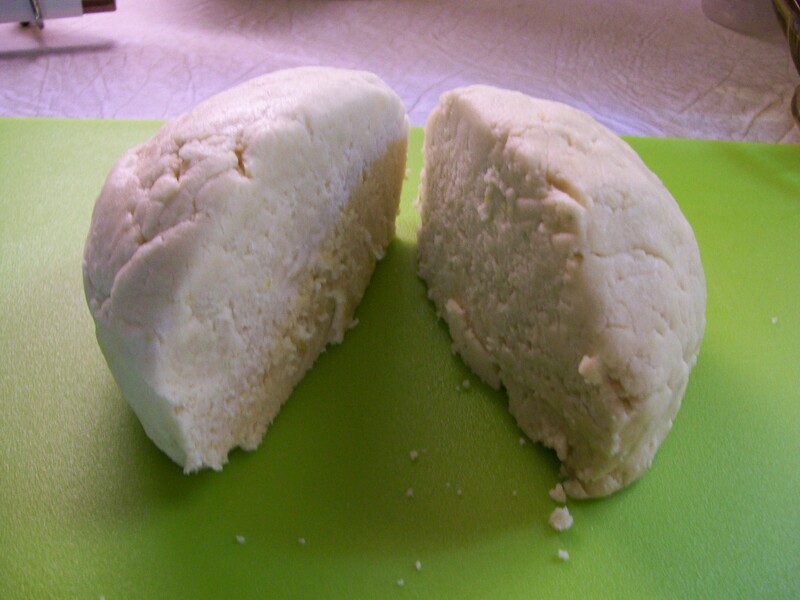 Beat butter with an electric mixer until soft and fluffy. 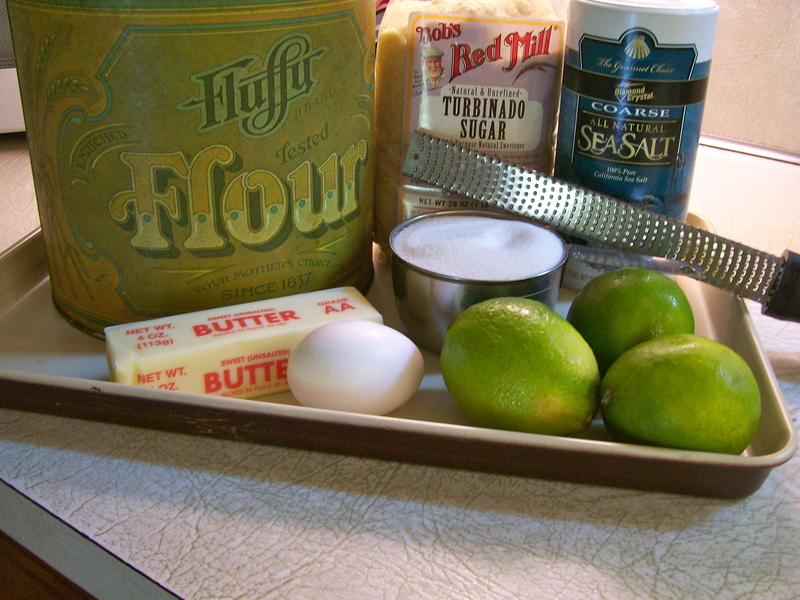 Add in the cake mix, egg, lime juice and zest and continue beating until it all comes together and forms a thick dough. 3. Press about 2/3’s of the cake mixture onto bottom of the foil-lined pan. Sprinkle white chocolate chips over the top. 4. Drizzle the sweetened condensed milk over the top of the chips. 5. Drop the remaining cake dough in “blobs” over the top of the milk, trying to spread it out as much as possible. Press lightly. 6. Bake for 29 – 32 minutes, or until edges start to brown. 7. Cool bars in pan on a cooking rack. When completely cooled, cut into squares. 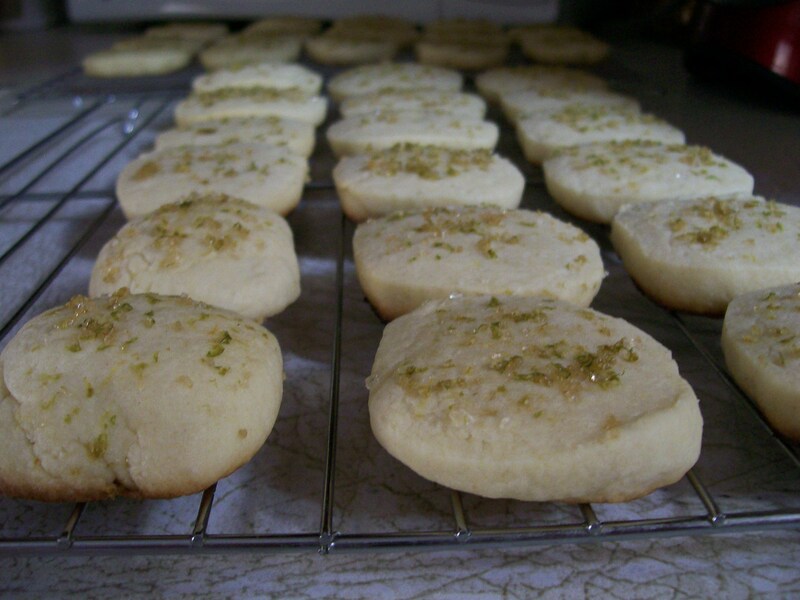 Top with additional lime zest, if desired. Store in an airtight container for up to a week. Ever since making the salmon kebabs a few weeks ago, I’ve been thinking about adapting that recipe idea and using shrimp in place of the salmon. Grilled shrimp on skewers seasoned with cumin and garlic, and finished with lime juice instead of the lemon. I loved the look of the kebabs with the slices of lemon separating the chunks of salmon, so why not use lime slices with shrimp. We loved this recipe with the shrimp. Since I was using my grill to cook something else, while it was on I also cooked the shrimp, with plans for using them cold in a salad another day. These would also be great served hot with a rice pilaf, and a big green salad. These are nice served over a crisp green salad. 1. Heat the grill to medium heat and rub the grates with a paper towel sprayed with olive oil spray. Season the shrimp with garlic, cumin, salt and half the cilantro in a medium bowl. 2. Beginning and ending with shrimp, thread the shrimp and folded lime slices onto 4 pairs of parallel skewers to make a total of 4 kebabs. Thread shrimp on double skewers, separating each one with a lime slice. 3. Grill the shrimp, turning occasionally, until shrimp are opaque throughout, about 1 – 2 minutes on each side. Top with remaining cilantro and freshly squeezed lime juice before serving. I found this recipe in a magazine last summer and I tucked it away in a “To Make” folder, not sure of when I would get around to making it. Turns out this past weekend was just the right time as I made these ice-cream sandwiches for a Father’s Day family get-together. They were a big hit with everyone. 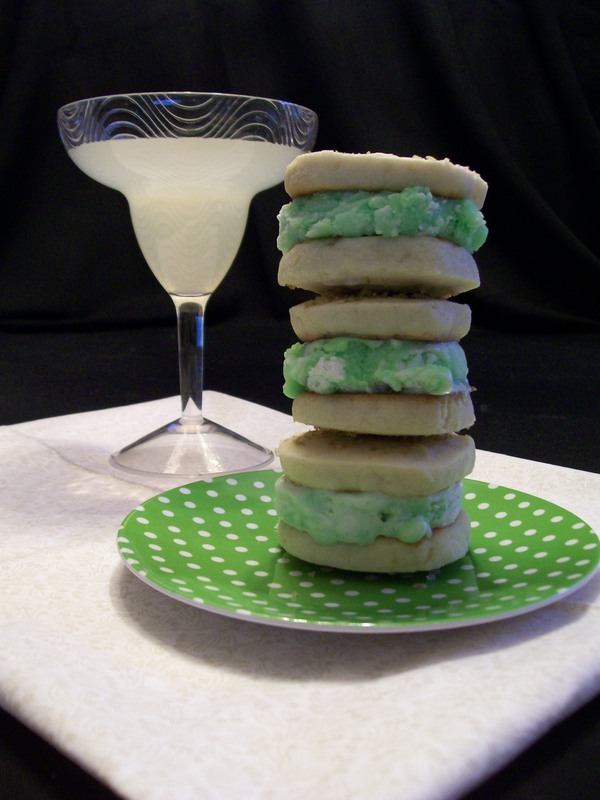 This is definitely a Dessert for Dudes as the lime zest and coarse sea salt mimic the flavors of a margarita in this cool, refreshing, summertime dessert that kids and adults will love. Place butter and sugar in a large bowl; beat with a mixer at medium speed for 5 minutes or until light and fluffy. Add the egg, 1 Tablespoon lime rind, and lime juice; beat another 2 minutes or until well combined. Combine flour, baking powder, and 1/8 teaspoon table salt; stir with a whisk. Add to butter mixture, and beat just until combined. Divide dough into 2 equal portions. Shape each into a 6-inch log. Wrap individually in plastic wrap; chill 3 hours or until firm. Preheat oven to 350 degrees. Line 2 baking sheets with parchment paper. Cut each log into 16 slices, ( about 1/3 inch thick), and place on prepared baking sheets. 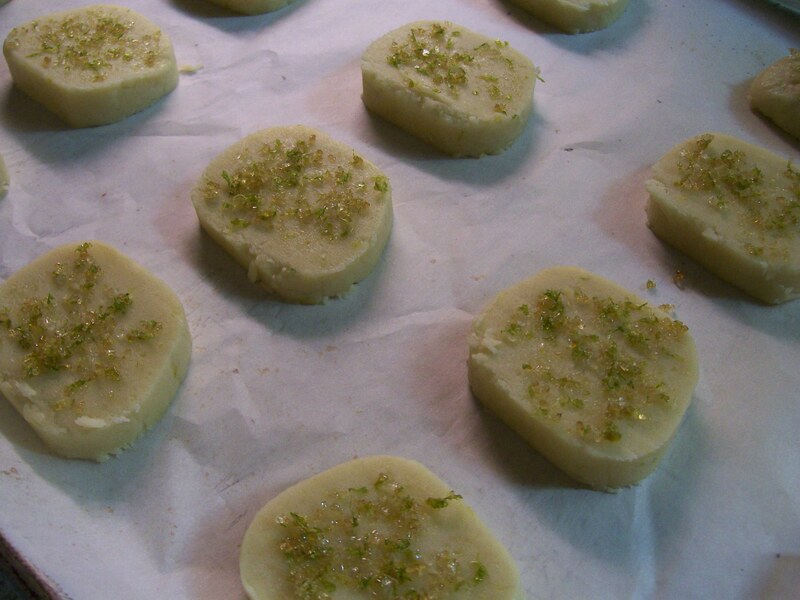 Sprinkle evenly with a mixture of remaining lime rind, turbinado sugar, and sea salt. Bake at 350 for 10 minutes or until edges are lightly browned. Cool for 2 minutes on pans. Remove from baking sheets , and cool completely on wire racks. Place vanilla ice cream and sherbet in a medium bowl; lightly fold and swirl together. Return mixture to the freezer to firm up before putting the cookies together. 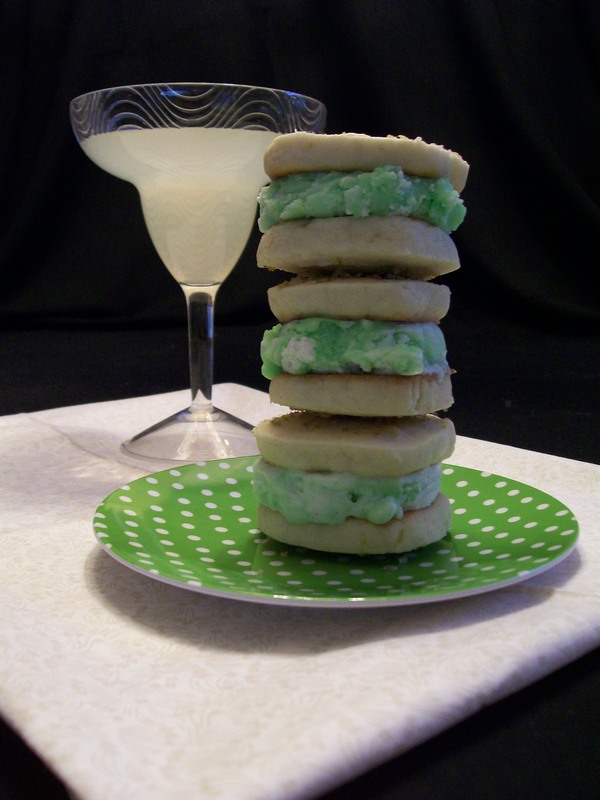 Use a cookie scoop to place ice-cream mixture onto bottom of one cookie, and top with another cookie. Squeeze gently to spread ice-cream mixture to the edges. 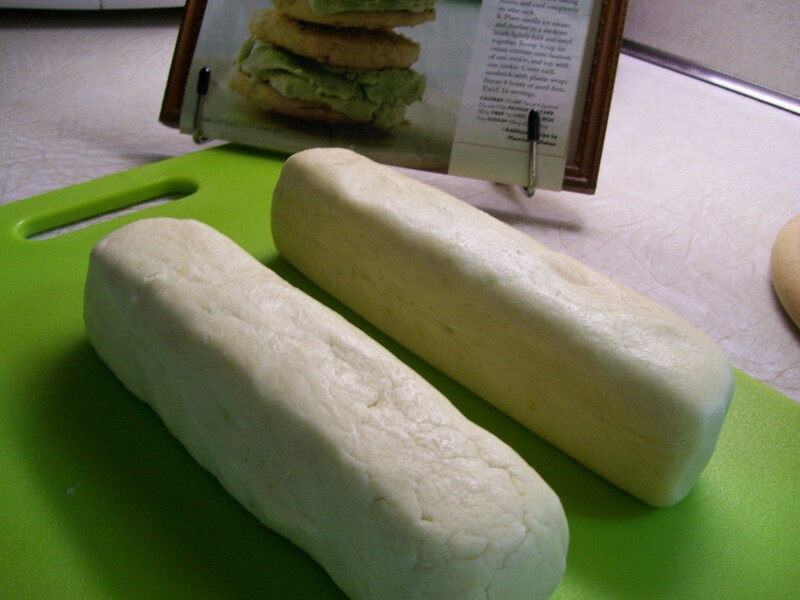 Wrap each sandwich in plastic wrap; freeze 4 hours or until firm.